Over time, even the best looking carpets collect soil, dust mites, odors, bacteria and germs. Homeowners falsely assume that their carpets and upholstery are clean simply because they appear clean. To extend the life of your carpets and upholstery, regular cleaning and deodorizing is recommended. Moulton Cleaning Company is a professional carpet and upholstery cleaning service that uses hot water extraction to remove the deep down dirt not visible to the human eye. All of our cleaning solutions are child and animal safe. Moulton Cleaning Company prides themselves on outstanding workmanship that is achieved through knowledge, experience and professionalism. In addition to a quality team, Moulton Cleaning Company also has the experience needed to handle your job, big or small. 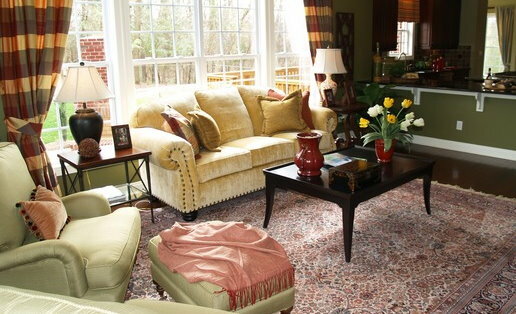 We clean Oriental rugs on location in your home or office, and dry clean draperies and certain types of upholstery. Contact us now to schedule your professional cleaning!